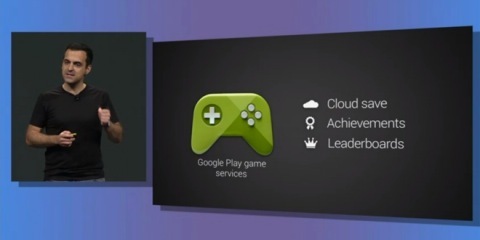 Google Play Game Services is a new online gaming portal from Google (duh!) that is linked to Google Plus. Google Play Game Services should work on all platforms, even Apples IOS. Furthermore, Google Play Game Services also offer High scores, a list of Acheivements and much more. I think it is quite surprising that they also offer support for web based games and also for IOS games. But i think that this will be a great advantage, since there is no service that link the different platforms together. (there are however different games that offer that capability) There are already games that support this feature, among them Osmos, Kingdom Rush and Super Stickman Golf 2.